Terri Nolan is as an occupational therapist, licensed in Missouri and Illinois. She has been caring for clients for over 20 years. Through her career, she has had experience addressing the unique needs of clients ranging from birth to the elderly. Terri has 12 years experience working with seniors and their families. Her focus is always to help increase her clients’ independence and participate in life’s everyday activities. Terri has also earned the designation of Certified Aging-In-Place Specialist (CAPS). Her home assessments and recommendations for environmental adaptations help clients remain in their home safely and securely, with maximum independence. Terri has a strong belief in the therapeutic benefits of animal-assisted therapy. She is Level II Certified by the American Hippotherapy Association where she is experienced using the movement of horses to assist with occupational therapy treatment. She also enjoys volunteering her time for Therapy Dogs International with her pet dog, Nelson. 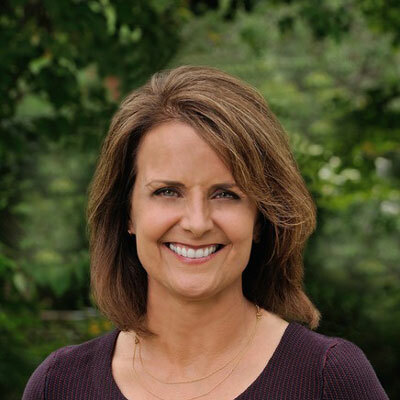 Terri received her degree in Business Administration from William Woods University and studied occupational therapy at Washington University School of Medicine. She lives in University City, Missouri with her husband, 2 daughters and their dog Nelson. Terri also enjoys playing tennis and camping with her family.